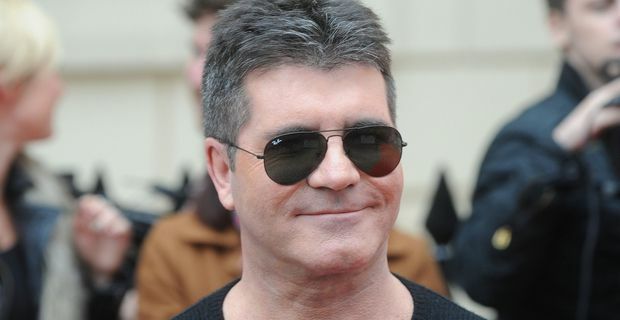 Simon Cowell is putting a brave face on being lampooned in a new musical. Well, given his haircut and trouser preferences, ridicule is probably a familiar experience for the X Factor impresario. The show is called I Can't Sing!, the brainchild of TV comedian Harry Hill. Satirising talent shows is the entertainment version of shooting fish in a barrel, but the title was a little slow to come. "We’d been umm-ing and ahh-ing about the title for a while," Hill said. "Then it hit us — there’s never been a musical called I Can’t Sing! It also happens to be the title of one of the funniest songs in the show, and we hope hints at the direction we’re taking this production." Hill promises "the only musical for a while with a singing hunchback, a talking dog and a man on an iron lung." He's happy to hear that Cowell is not offended, or at least is pretending not to be. "It’s great that Simon is backing it 4,500 per cent." Cowell witnessed rehearsals and early workshops, which he described as "the funniest thing I've ever seen" and remember, this is a man who has worked with Louis Walsh and Gary Barlow. Cowell, ever the astute businessman, has a slice of the action as the musical is a co-production between Stage Entertainment and his own Syco Entertainment. That's worrying for Hill fans who might have hoped the show would be a little vicious. Cowell as a co-producer obviously has the power to veto anything too extreme. Director Sean Foley says that hasn't happened. "He is being kind of astute in leaving it to the people who know about theatre shows," Foley said, "but he’s hands on when he needs to be." Hopefully Hill's best gags will survive. Producer Rebecca Quigley said "It’s going to be quite a wacky big show. We learn why Simon wears his trousers high."